'I remember caresses, kisses, touchingeach other's hair. We had no sense thatanything else existed'- Elena Penga, 'Heads''Nothing, not even the drowning of a childStops the perpetual motion of the world'- Stamatis Polenakis, 'Elegy'Since the crisis hit in 2008, Greece has played host to a cultural renaissance unlike anything seen in the country for over thirty years. Poems of startling depth and originality are being written by native Greeks, emigres and migrants alike. 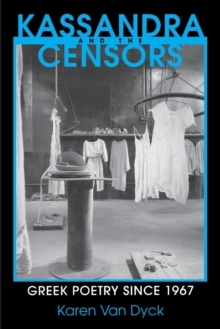 They grapple with the personal and the political; with the small revelations of gardening and the viciousness of streetfights; with bodies, love, myth, migration and economic crisis. 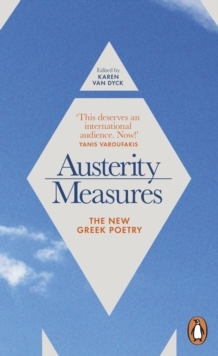 In Austerity Measures, the very best of the writing to emerge from that creative ferment - much of it never before translated into English - is gathered for the first time. The result is a map to the complex territory of a still-evolving scene - and a unique window onto the lived experience of Greek society now.